This game is a relatively new (launched on the 21st Feb 2013) online video slot from one of our favourite software gaming developers – Net Entertainment. It is charming, amusing, entertaining, clever and interactive - set in the cartoon-like theme of a tribe of wild turkeys who live in a remote mountain range. Try to imagine if the Mayan civilization were turkeys (if that is at all possible). It is a five-reel game over twenty pay-lines, with a top prize (none progressive) which promises if you win, to take you on a rather wild ride - $20 000 worth. We believe that timing may have been a little off, and that the turkey theme may have faired better at Christmas or Thanksgiving, we forgive them this faux pas because of the prize. A betting range of from $0.01 to $100, makes it suitable for all types of player, and it is a pleasure (if not a treasure) to play. There isn’t really a lot we can say about a bunch of wild turkeys, however, with NetEnt at the helm of this games’ production, it is incredibly well graphically rendered in 3D, as well as innovative. 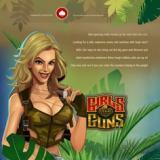 It features the famous “Stacked Wilds” which reward the player with tons of free spins. All of the icons are Turkeys, each playing their own role in this rather wild, and kooky world. Look out for the warrior turkeys, these enact elaborate animated actions whenever there is a win. The Wild Turkeys worship wild symbols, and so too will you when you play. Layout, technical, sound and visual effects are in keeping with the high quality gaming this provider always presents. Land three to five wilds, and be rewarded with 15 and 60 free spins, and wilds also act as scatter symbols, which brings on even more winning combinations. The aim of this game is to have fun, as much as it is to win, with up to 40 000 coins on the cards, excitement and adventure can definitely be found. Because the “Wild” icon in particular, is intrinsic to winning the game, these are going to be what players aim for in terms of the object of the slot. These icons are also the bonus trigger. The bonus feature is basically the run of free spins, and we cannot honestly say all that much about it, as we haven’t quite reached that stage yet. But what we did discover is a “Stop” button, and yes you can stop the reels spinning if you think you spot a winning combination. Great little tool in this super slot.